Probably the most popular theory of contagious yawning is that yawning serves as a form of nonverbal communication. Catching a yawn shows you're attuned to a person's emotions. Scientific evidence comes from a 2010 study at the University of Connecticut, which concluded yawning does not become contagious until a child is about four years old, when empathy skills develop. In the study, children with autism, who may have impaired empathy development, caught yawns less often than their peers. A 2015 study addressed contagious yawning in adults. In this study, college students were given personality tests and asked to view video clips of faces, which included yawning. 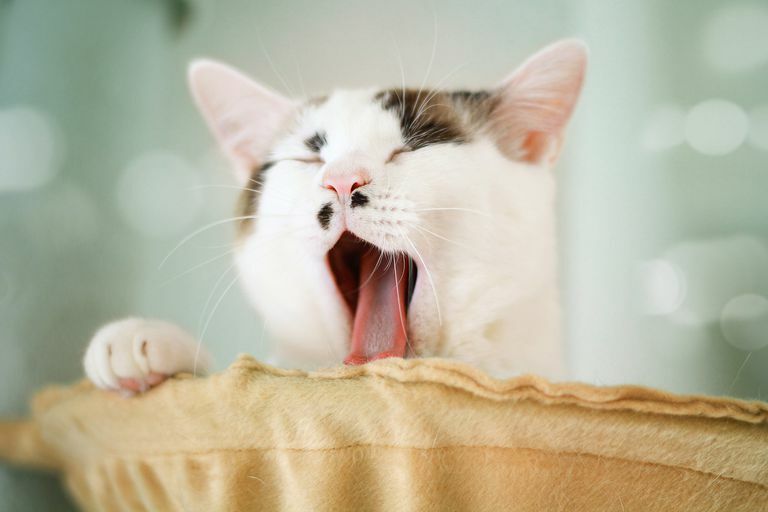 The results indicated students with lower empathy were less likely to catch yawns. Other studies have identified a correlation between diminished contagious yawning and schizophrenia, another condition linked to reduced empathy. However, the link between yawning and empathy is inconclusive. Research at the Duke Center for Human Genome Variation, published in the journal PLOS ONE, sought to define the factors that contribute to contagious yawning. In the study, 328 healthy volunteers were given a survey that included measures of sleepiness, energy levels, and empathy. Survey participants watched a video of people yawning and counted how many times they yawned while watching it. While most people yawned, not everyone did. Of the 328 participants, 222 yawned at least once. Repeating the video test multiple times revealed that whether or not a given person yawns contagiously is a stable trait. A study conducted at the Primate Research Institute at Kyoto University in Japan examined how chimpanzees respond to yawning. The results, published in The Royal Society Biology Letters, indicated two of six chimps in the study clearly yawned contagiously in response to videos of other chimps yawning. Three infant chimps in the study did not catch yawns, indicating young chimps, like human children, may lack the intellectual development needed to catch yawns. Another interesting finding of the study was that chimps only yawned in response to videos of actual yawns, not to videos of chimps opening their mouths.